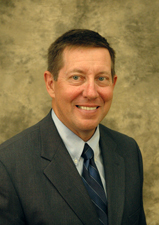 Dr. Steve Eckman is president of York College in York, Nebraska. His career in higher education has spanned 42 years. In his various roles he has served as Vice President for Student Development, Director of Institutional Effectiveness and Research, Vice President for Advancement and Executive Vice President at three different institutions. During that time he has also taught as an Associate Professor in the field of Biblical Studies. He has been president of York College for eight years during which time he has also served the Higher Learning Commission as a peer reviewer, substantive change panel reviewer, financial panel reviewer and team chair. His peer review work has included on-site reviews of schools of nursing that award the bachelor’s degree. For the past several years he has also served ACEN as an appeal panel member. He has served in an administrative role at a previous institution that started a RN to BSN program which now offers the master’s degree in nursing.